Severe gunshot wound to left leg (father advised by 3 December 1917). Admitted to hospital in France on 4 December 1917; admitted to hospital at Bethnal Green, Brockenhurst, England, & in New Zealand to Timaru & Burnham Hospitals. In 1919 he was in the Military Hospital in Timaru. Son of George & Margaret (nee COLLINS) DAVEY. Attended Temuka School. His military training was at Trentham Military Camp. He left Timaru for the Front on 11 April 1917. Farewelled from his home in June 1917, presented with a handsome wristlet watch & other gifts. 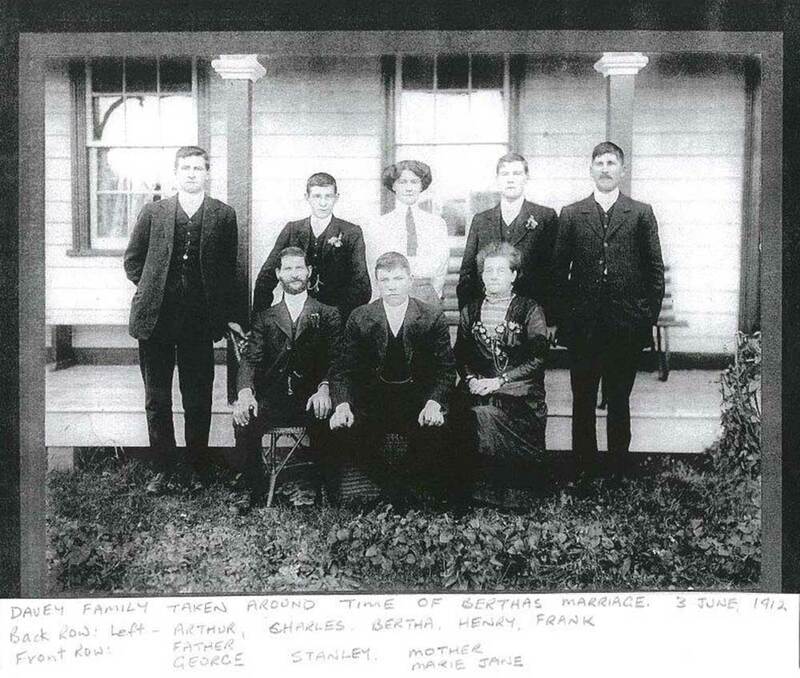 Returned to NZ from England on 15 May 1918, by 'Marama'. Brother of Stanley Edward DAVEY who was killed in action at the Somme in 1916 & Francis James DAVEY & Henry George DAVEY who both also served in WWI. Married Gertrude STOKES, 1938, at Temuka. In July 1920 at the largest gathering ever seen in the Victoria Hall, Winchester, Arthur was one of the district soldiers who were welcomed home and presented with medals and thanked for what they had done for their country. .
Cenotaph Database [11 August 2013]; TDC headstone image, Temuka Cemetery [11 August 2013]; Timaru Herald, 10 April 1917, 11 June 1917, 22 December 1917 & 29 December 1917, 19 July 1920 (Papers Past) [08 November 2013; 13 July 2014; 16 September 2014].